Thanks to all of your voting, 5 winners were selected. Those 5 winners were then sent on to Allison Harris, designer of Wallflowers... She picked the Grand Prize Winner! The remaining four are the runners-up. Congratulations to all! 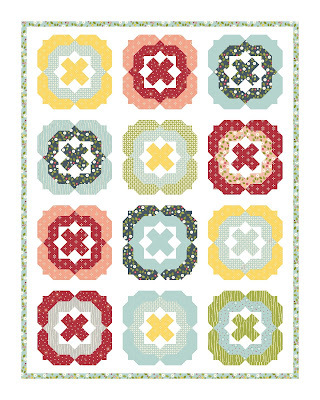 The Grand Prize winner is Cristina who designed this Small Town Girl quilt. She will win all the Wallflowers fabric needed to make her quilt design, a signed copy of Allison's book Growing Up Modern, and a $25 gift certificate to Pink Castle Fabrics! 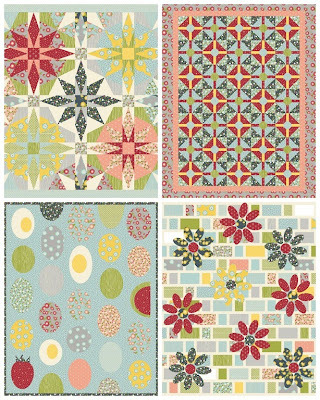 The four runners-up will each receive an e-book copy of Growing Up Modern and a $15 gift certificate to Pink Castle Fabrics. 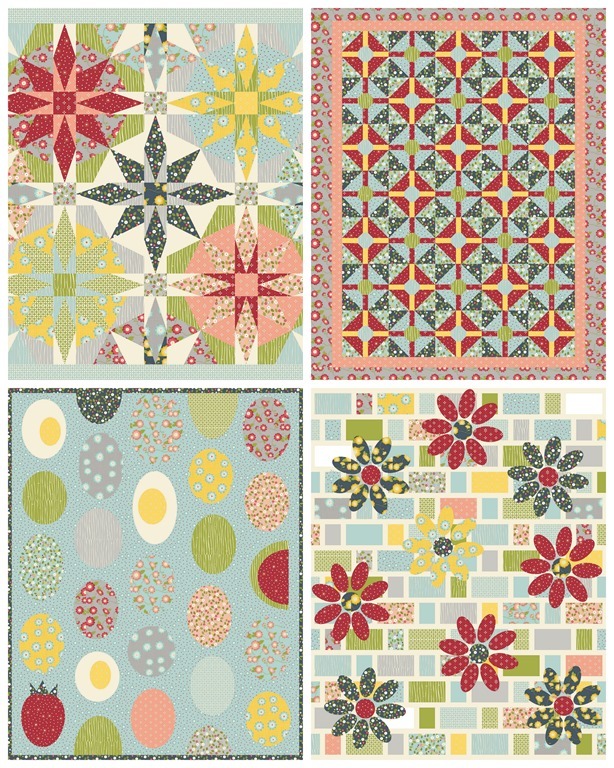 The runner-up quilts are: KaleidoStorm, Don't Step on a Crack!, Summer Picnic, and Vertical Garden. Such great designs all around! Have a look at the other entries over on Threadbias. The Wallflowers line will be available on September 1st and is available for presale now at our Pink Castle store.